Blizzard drastically reduced experience requirements in the 20-110 range in the latest 8.1 PTR Build 28366 and a new potion is available for purchase that increases stats by 20 and XP gains by 10% for an hour for characters below level 120. According to our friends at MMO-Champion, Blizzard reduced experience required to level on PTR by approximately 22%, so earning Heritage Armor and leveling up alts will be faster in Tides of Vengeance. For example, you'll need 40% less experience per level in the 59-65 range, and the amount of experience from 80-110 has been reduced by a whopping 25%. Click the image to view the full table and the source article. In 8.1 Build 28294, new Heirlooms were added to the Warfront vendors. Taste of Victory is a new item that increases all Experience gains for characters below level 120 by 10% for an hour. You can get it from completing Incursions with a character below max level, according to Wowhead. Draught of Ten Lands is a potion that increases experience gains by 10% and all stats by +20 for 1 hour. You can purchase it from the new Warfront vendors for 10 7th Legion Service Medals (Alliance) or 10 Honorbound Service Medals in Patch 8.1. If you're still holding off leveling your alts, just wait for December 11 when the patch goes live! 80-110 wasn't that hard (and slow) to level up. Well if you have flying unlocked it is just picking up items in Pandaria and Draenor. Maybe half a zone of questing in Catalysm and Pandaria. My current alt, just quested a little in Draenor and after 3 zones he's lvl 106. Crafting and items are out of sync after level 60. Just add heirloom gloves, bracers, belt and boots! 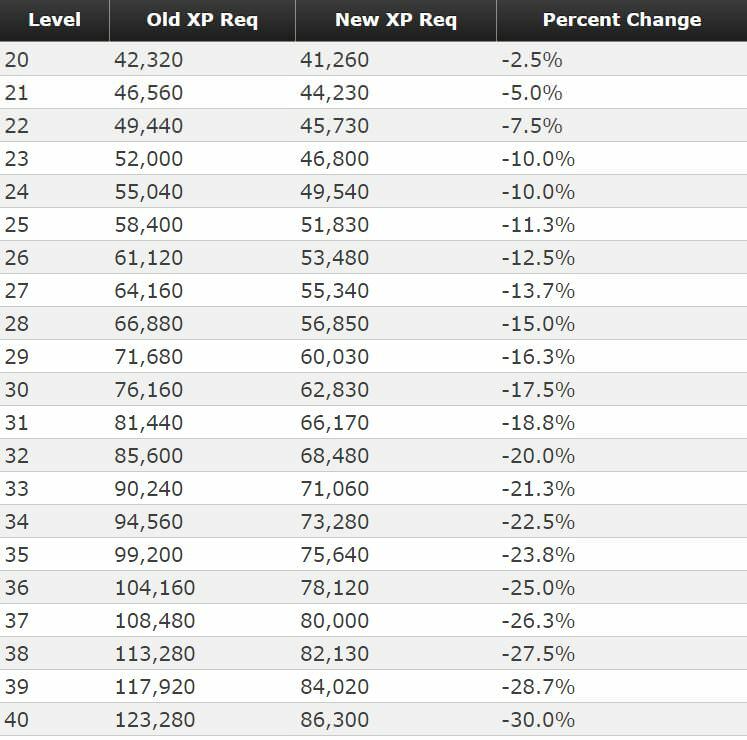 I would honestly prefer just a buff that you can buy that increases xp by 45% and then i can wear whatever i want, since as i am leveling up, i am losing out on alot of stats because the heirlooms are not stat-efficient. Thanks for pointing that out 🙂. i am losing out on alot of stats because the heirlooms are not stat-efficient. Yes, maybe in comparison to a dungeon level item of the same quality at the exact level its usable by. Once youre past that level, and increasingly so every level after, the heirlooms will probably always be better, because they continue to grow with you, where (insert blue dungeon item here with better stats) won't. Actually, heirlooms level up stat wise every 4-6 levels now, instead of each level. Which is still faster than any dungeon gear you would find, since it doesnt scale at all until you get it to drop again. IF you get it to drop again.